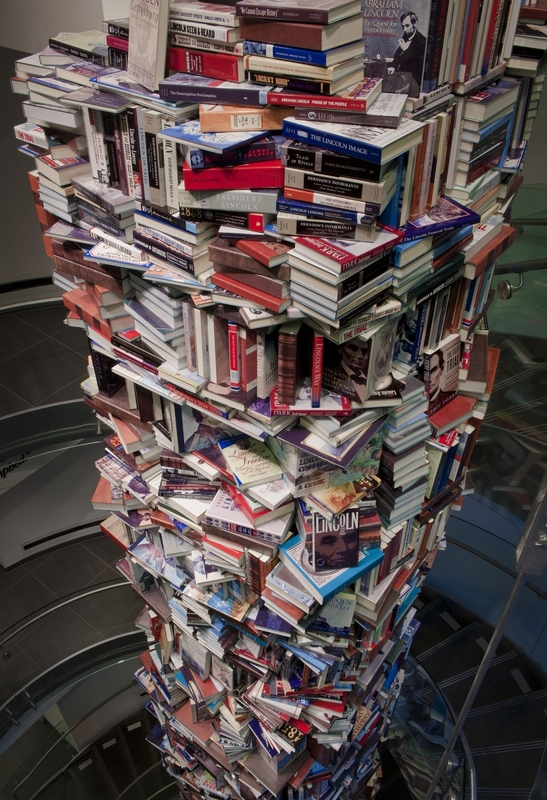 A stack of books over three stories tall, all about Abraham Lincoln. Actually it's a new sculpture in Washington, DC, and it looks really cool. I'm slightly worried our lack of bookshelves means our bedroom may begin to resemble this. I first read that as three FEET tall & then looked at the pic. Uh that is WAY more than 3 feet.